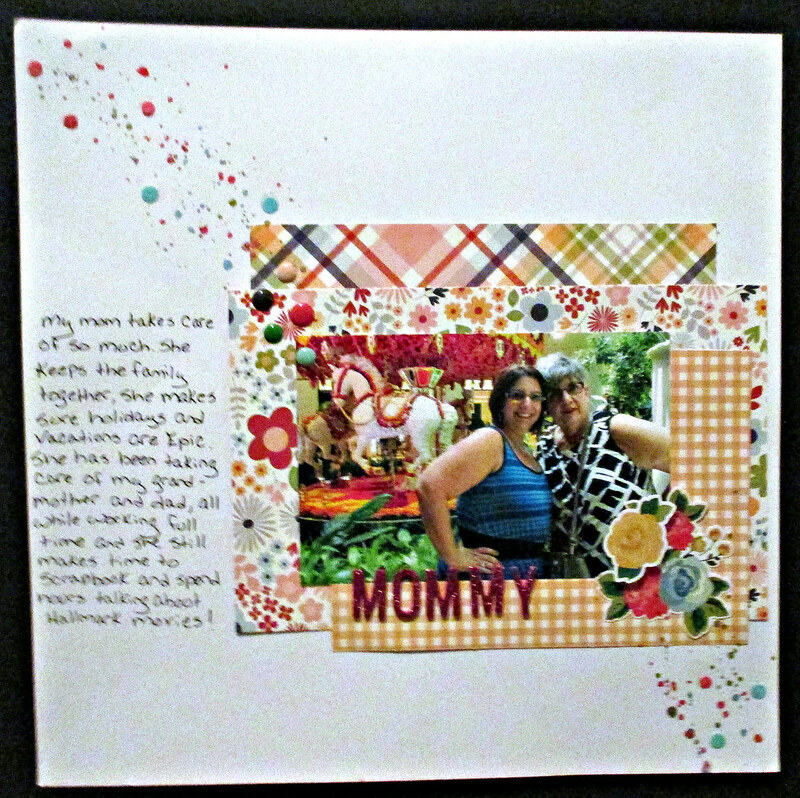 Today’s topic was easy – I knew I wasn’t a hero enough to be the subject of this page but I knew it would be my mom! I even knew what picture I wanted to use and because my mom is the queen of paper layering I knew I wanted to do that for today’s page as well! !